D4 Surgicals of India. 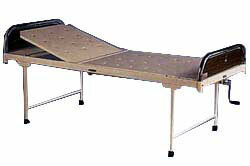 provides wide range of Hospital furniture beds. 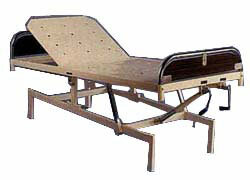 These Hospital Furniture Beds are used in most of the Indian hospitals. 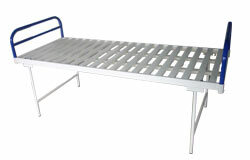 D4 Surgicals has also earned a good reputation from the international community as one of the best Hospital Furniture Exporters from India due to the excellent quality of these Hospital Furniture Beds. 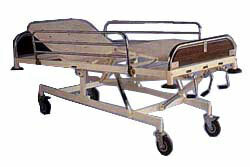 2 Seprate screws for back rest, knee rest trendelenburg & reverse trendelenburg position by attached folding handles. 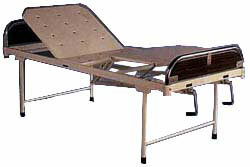 Back rest and knee rest operated by attached folding handles. 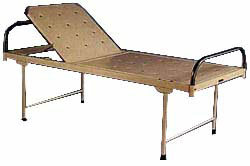 Back rest operated by screw with folding handles. S.S. bows of 32 mm dia.